Pawn Boss: Do You Know Your Silver? All that glitters…doesn’t have the same value as gold! As beautiful as sterling is, it’s worth just a fraction of what gold is worth. And coin silver, which is only 80% pure silver, is worth even less. Check the markings. Real sterling usually bears the word “sterling” or the numbers .925”. Learn more. Watch attached video. Pawn loans or collateral based loans, have been around for centuries. Essentially you provide something of value (gold, electronics, etc.) and the lender (the pawn shop or pawn broker) lends you money based on the item’s value. As long as you re-pay the loan amount or principal, along with whatever fees or interest have been agreed upon, you take back your valuables. It’s that easy! Pawn shops take in a wide range of merchandise based on their type of business and on specific rules and regulations imposed by state and local governments. For Massachusetts pawn shops, title loans (cars, boats & motorcycles) are illegal, as are payday loans (borrowing against your future paycheck). Empire Loan, for example, primarily loans on gold and diamond jewelry but also does loans on electronics (laptops, TV’s, digital cameras) and musical instruments. Bring in your item and our staff will evaluate it. Our experts will do any necessary research to determine the amount we will lend. Typically, we offer 20% of the price we can find an item being sold for elsewhere. For example, if you bring in a flat screen TV that we can find used online for $500.00, we would typically offer a loan of $100.00. For gold and diamond jewelry, we base our loans on the scrap value of the metal and a small percentage of the wholesale value of any diamonds. These amounts are based on the price of gold trading on the commodity’s market and from diamond dealer sources such as Rapaport. The amount you may have paid for the jewelry in the first place has no bearing on what a pawnbroker may offer you. That’s because retailers pay much higher prices for their merchandise and mark it up hundreds, and sometimes thousands, of percent. Massachusetts pawn shops offer loan that are 4 months in length. (In Providence, RI where Empire has two locations the loans are 3 months). In addition to your item of value, all you need for a loan is a non-expired government issued ID. It doesn’t even have to be from the state or country you’re in. In minutes, you can have the cash you need with no hassles and no credit checks. It’s that easy! 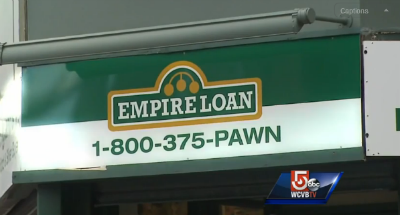 Empire Loan Featured on WCVB’s Chronicle! What gift do you give that works every time? Clothes (wrong size, color, style), Books (Already read it, I hate mysteries, who has time to read a book), and Gift certificates (so impersonal, I never shop there) don’t always work. Jewelry with the recipient’s birthstone can be the perfect gift. 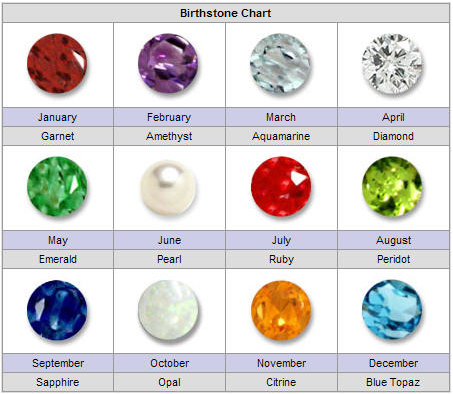 Most people know their own birthstone or that of the special people in their lives. This means your gift is always a perfect match. I know my wife’s birthday is June, so her birthstone is the Pearl. That helps me narrow down all the jewelry choices out there. It’s also a good bet that because the pearl is her birthstone, if I get her pearl earrings, pendants or bracelets, she’ll have other pieces to match and complement them. Customers walk into our stores and don’t know where to begin: Does she wear rings? Hoops or studs? Does she like wearing long necklaces or shorter ones? Without knowing the answer to these questions, customers can narrow it down by just looking for the perfect March birthday gift (that would be aquamarine). Even if they are lucky enough to have an April birthday (that would be a diamond) you can find lots of inexpensive choices at your local Boston Jeweler! The perfect gift has a special meaning and jewelry that features birthstones could be just the ticket! How Can a Boston Pawn Shop Save You from Late Fees or Reactivation Charges? It can happen to anyone. You’re a little late paying the cable or phone bill and you’re hit with a pile of late fees and “reactivation” charges on top of everything you owe. The phone company charges you $45 to “reactivate” the phone. The cable company charges you a reactivation fee for simply flipping a switch. All of a sudden, your bill has doubled. With the added fees, you now owe $300 to pay the bill when money is already tight. But here’s the good news — a Boston pawn shop can help you avoid these fees in the first place. Here’s how a pawn loan could work for you. Let’s say you have a $200 cable bill due. If you pay it late, you may be hit with a $20 late fee, along with an extra charge of $45 for reactivation. That adds a quick $65 to your bill, and what’s worse, you don’t get paid until Friday so the fees can continue to accumulate. In a situation like this, a $200 pawn loan at one of Empire Loan’s Massachusetts location’s may be the perfect solution. With a $200 loan, you’d pay only $22 for the appraisal fee and interest, and be able to keep your cable on in the first place. At Empire Loan, all that’s required is a valid ID and something of value like a gold chain, bracelet or ring to secure the loan. Many companies will charge customers additional fees for bounced checks. In this case, you end up paying twice — one fee to the bank and another to the company who received your bounced check. This may also result in the company asking for a “security” deposit or refusing to take a check in the future. Most of these situations are also reported to credit reporting agencies like Equifax, Experian and Trans Union. As a result, your credit rating is lowered which makes it difficult to get a credit card or loan. Worse still, landlords often conduct credit checks, so even your ability to find housing may be affected. Some companies have even started to use credit reports as part of their hiring criteria. On the other hand, pawn loans are NOT determined by your credit history, nor do they affect your credit rating if you default on the loan, since it is secured by your merchandise. Nothing is reported to the credit agencies. Nothing goes on your record. You simply get to move on with your life with no repercussions. It’s that easy. The price of gold is still high, meaning your old gold chains, rings, bracelets or even broken pieces of jewelry and loose earrings can get you a fast, short term cash loan that will let you pay those other bills and avoid the extras fees. Empire Loan will also do short term cash loans on electronics such as digital cameras, flat screen TV’s and laptops as well as musical instruments like guitars and trumpets. So the next time you need money for bills, consider a Boston pawn shop. 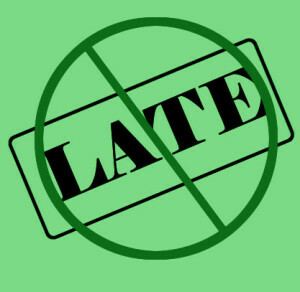 With a pawn loan from Empire Loan, you’ll never pay late fees again, plus you‘ll save yourself money.